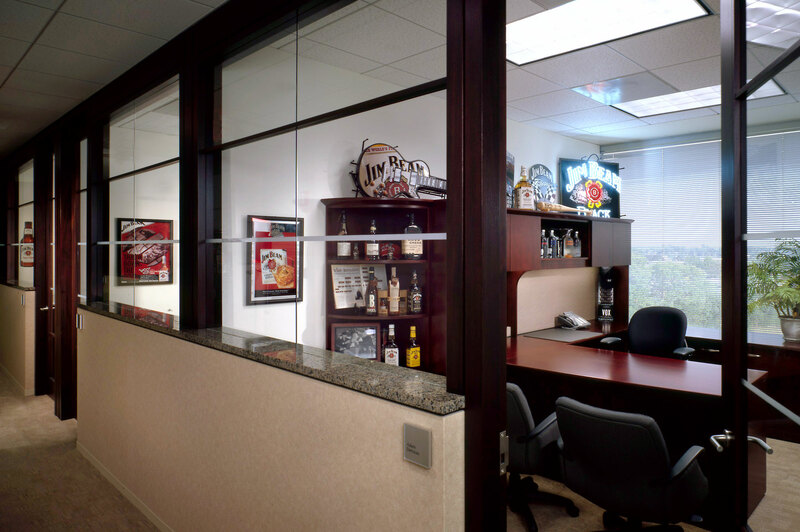 Redesign marketing space and private offices to promote increased visibility of employees and product brands. Extensive mahogany millwork, artwork and company products are on display throughout. A series of small informal conference rooms and a kitchen for catering support numerous sales events.